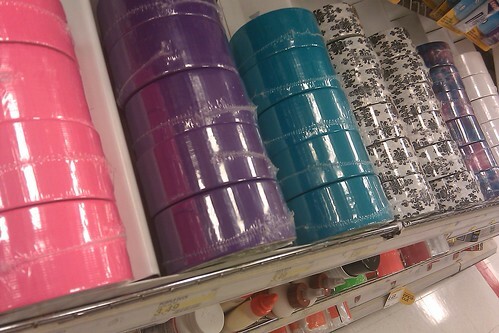 Who knew the world contained this variety of duct tapes? I've been thinking a lot about community. And what makes a space a space. Havi talks (brilliantly) about culture. And Diane has been talking about (financial) sustainability in our crafty world. And the range of answers in her comments has me wondering: what is our online, bloggy, crafty world? There are craft bloggers and podcasters (like Diane) that don't sell what they craft. There are crafters who don't blog or podcast but want to sell what they craft. And crafters who sell what they make, but don't blog or Twitter or even get online. I starting blogging (oh Diaryland!) 10 years ago (and no, you can't read what I wrote then) and have been writing something online ever since. But it's not really humor. It's not really essays on the craft world. 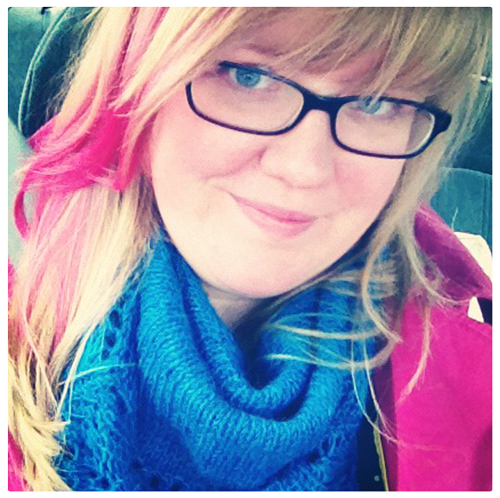 Over at Blonde Chicken Boutique, I write about my yarn. How I make it, what inspires it, what to do with it. Here, I talk about having a crafty business. What that's like, what I've learned, how you might do it. I'm part of the community, but I'm not interacting in the same way. It's built a business and friendships and allowed me to do what I really adore (talking to other crafty business-lovers). Several of my newest clients are brand-new to the whole online-craft-world and they're wondering if they should do it all: blog, tweet, podcast, sell their craft. My answer is always the same: do what suits you. If you like writing (as I do), write. If you like photography, Flickr. I you like getting to know strangers with similar interests, tweet. I'm not sure where I fit into the greater craft blog world and that's ok. It's ok if you don't know where you are either. And it's really ok if you don't blog or tweet or sell your thing. You are welcome here all the same. Finding what works for you is the first step to making sure you spend your time on doing what WORKS for you. What makes your business hum with fun and profit. It's ok to be where you are. It's ok to NOT use social media. It's ok to use it however you've been using it. Really. You can't do it wrong. The only thing that's wrong? If it isn't working for you. If you're not getting what you want and need. If it's wasting your time and frustrating you. And that's what my class will be about: ignoring the shoulds and finding what works for you, in a non-icky, totally full-of-ease way. I'm curious: what do you know works for you? A wise person once told me, ‘never should on yourself’. Its tough to the point of impossible for me many days – but I keep trying. I totally understand. I have had several “craft” blogs over the years. They were about making things and selling things. They were great but they didn’t really help me make any money. They didn’t meet my needs. I’m working on a whole new blog now, one that fits me. I have no idea where it will fit into the crafty world.